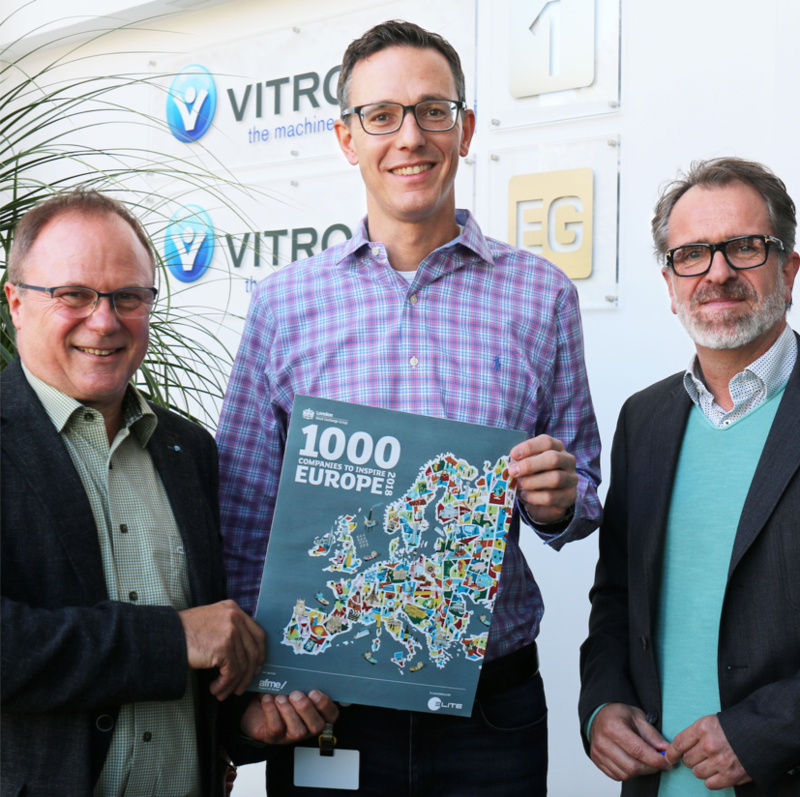 The machine vision company VITRONIC has been identified as one of London Stock Exchange Group’s 1000 Companies to Inspire Europe, a report celebrating “high-growth and most dynamic small and medium sized businesses across Europe”. At the beginning of 2018, personnel rose to 1,000 worldwide, 800 of which are located in Wiesbaden, Germany. Approximately 40%, are engineers. In the past five years, total personnel grew by more than 10% each year. In addition to a large number of entrepreneurs and Members of the European Parliament, the Vice-President of the European Commission, Jyrki Katainen, and the CEO of the London Stock Exchange, Nikhil Rathi, participated in the ceremonial publication of the report today in Brussels. Picture shows Management Board members Gerhard Bär, Daniel Scholz-Stein and Matthias Pörner.